Free Printable Store Coupons are the easiest way to save money when living on a budget. We are all trying to make every dollar we earn stretch a little further. Printing coupons is a way to save money each and every week when you go grocery shopping. Do you remember when you had to wait for the local newspaper or buy a Sunday paper just to get coupons? You can still do that if you want but with technology today you can print coupons right from your home and it doesn’t cost you anything. On a weekly basis, I have saved up to $21.25 or more when I go grocery shopping. Just by logging into Coupons.com and printing the coupons for products that I planned on buying anyway. If you save on average $20.00 a week that is a total saving of $1,040.00 a year. If you use more coupons the savings can be huge. Depending on what you buy or use in your household you could save thousands of dollars. There is no need to buy or wait for the weekly newspaper to see what coupons are available. All you have to do is fire up your computer to print coupons that you choose. Coupons.com has made it very simple to find coupons you can actually use. Each week you can go through the available coupons and print out the ones you want to use. It’s set up in different categories so it’s easy to find coupons you are looking for. It’s really that simple. You DO Not get thousands of email or (aka junk email) from them after you join. 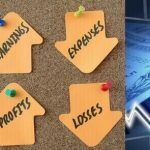 Here are the steps you will need to follow to start saving money TODAY. 4> Take coupons to the store and Start Saving….. There is a preset limit set by manufacturers on how many times you can print a coupon. Manufacturers set limits to make sure there are enough coupons for everyone. The limit is usually one or two so be sure to print coupons out when you see them because they may be replaced with a new coupon next time. After you reach the limit you will no longer have access to that coupon. You can clip the coupon out until you reach your limit so you have it for items you use most often. There is a UPC A and GS1 barcodes on each coupon for easy scanning when presenting at your local store. Each coupon you print is unique and prints a unique serialized number. Please do not copy coupons, it is against the law. 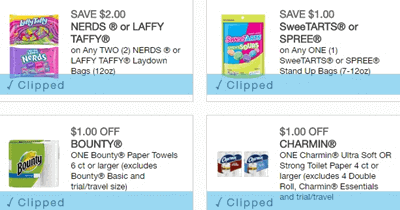 Be sure to clip coupons on a weekly basis to get the most savings. 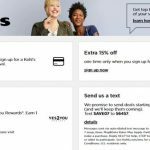 Coupons.com offers Free Printable Store Coupons, Coupon Codes, Cash Back Rewards, and Loyalty Card Rewards. That is a lot of savings all in one place. 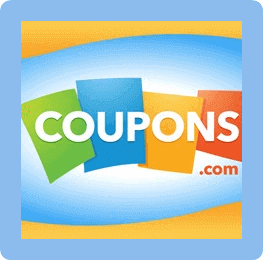 Coupons.com offers access to hundreds of manufacturers printable coupons from several categories such as pet food, baby products, food, and healthcare products. Coupons.com has made is so simple to print over 400 manufacturer coupons for big savings. The coupons are for name brand items such as Bounty, Scott, Milk-Bone, Windex, Pillsbury and so much more. The Savings are from .50 cents, .75 cents, $1.00, $2.00, $3.00 even up to $7.00 in Savings. When you print coupons your grocery bill will be lower each week which will give you more money for other items in your life. 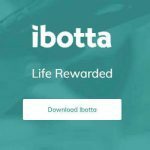 If you print the Free Printable Store Coupons from Coupons.com and then use an app like Ibotta the savings really add up each week. Local stores that offer card savings such as Acme, Winn Dixie, Dollar General, Giant can be linked to Coupons.com for coupons. How it works, you register your local store savings card to Coupons.com Loyalty Card. Then you can add coupons with just a click to your local store savings card. Once you choose the coupons and link them to your local store savings card you automatically receive the savings at the register. You have the cashier scan your local store savings card as you always do and the coupons will be taken off your total. There is no clipping coupons and taking them with you, it will be automatically deducted at the register. Cash Back Offers are great if you use your credit card or debit cards to make purchases. Technology today makes it so convenient for people to live life without carrying any cash. More and more people don’t carry cash for several reasons. 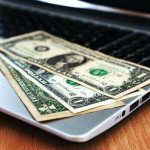 Coupons.com offers a Cash Back Offer when linking your credit card or debit card to your account. Register a Visa, MasterCard, American Express, or debit card with Visa or MasterCard logo issued for any U.S. Financial Institutions only. Find a local business that offers a Cash Back Offer by entering your zip code into the Coupons.com website. Cash Back Offers can be up to a 7% savings. Click the Add Offer button to add it to your Coupons.com account. The offer is redeemed once you check out and appears as a credit on your credit card or bank statement for qualifying purchases. Link a credit card that you only use for Cash Back Offers and doesn’t have a large credit limit on it. If you ever have a problem you can cancel the card and it won’t mess up the rest of your other credit cards. Payoff this credit card off each month will give you the most benefit from the Cash Back Offer. Coupon Codes have been around since the 1990’s when the internet went public. Now every retail business on the internet offers some kind of “discount” whether it’s “Free Shipping” or a “Coupon Code” for a percentage or dollar amount discount. 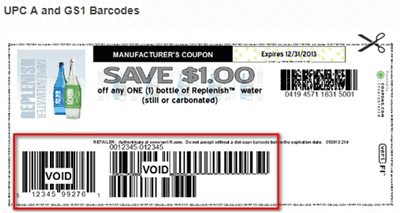 Coupons.com offers 3 types of Coupon Codes, actual online codes, retail website discounted page, and in-store coupons you can print to redeem at the register. All you have to do is go to the Coupon Codes section of Coupons.com and search for your favorite store. This is a great way to save money whether you are shopping online or at your local store. Everything have Pros and Cons to them, Coupons.com does have a few Cons. But if you are saving money how can the Cons be that bad. Whether or not you have a small family or a large family saving money is important. Coupons.com is not only a great place to print coupons but you can link your Loyalty Cards to earn savings. Free Printable Store Coupons are for EVERYONE because everyone wants to Save Money! 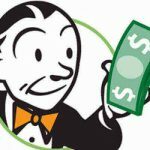 We all want to learn Better Money Habits and that includes saving money when we go shopping. Everyone waits for a Sale or looks for Discounts before going shopping. If you know you need or want something expensive you look to see if there is a sale, it’s human nature to do so. If you don’t do it right now you have at some point in your life. 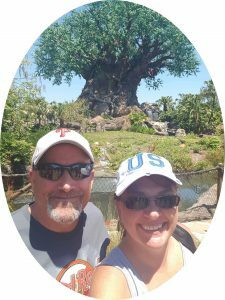 We work so hard for our money and we want to save it for the fun things in life. Make sure to create a new email account (Gmail) used just for any kind of online savings. You don’t want to get your important email and discounts mixed up and delete something by mistake. Never make copies of coupons it is against the law. 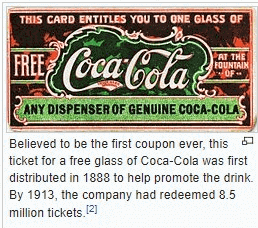 According to Wikipedia coupons have been around since 1888 when Coca-Cola printed the first coupon for a Free glass of Coke to help promote the drink. It’s estimated that Coca-Cola gave away over 8,000,000 free drinks from 1894 and 1913. 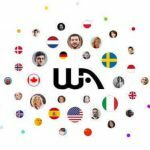 This was a great marketing technique for businesses and savings for the consumer. Coca-Cola net worth as of 2017 is over $180 billion dollars. I would say that one coupon worth a Free Glass of Coca-Cola was smart advertising for the company. In 2002 Americans have saved over $3.5 billion dollars shopping with coupons online and in-stores. Don’t you want to get in on some of that Savings? Groceries and household brands really can take a toll on your wallet. Start printing and saving on your favorite groceries and household brands and products today. Free Printable Store Coupons is a great way to try new products and not pay full price for them. if you see something new on the shelf and want to try, but don’t want to waste the money if you don’t like it. Look for a coupon and print it out and try it and you won’t be paying full price. Start your Saving with Printable Free Cereal Coupons. Once you have signed up for Coupon.com please let us know how much your weekly savings are. Comment below and let’s see who can save the most for one week. The Challenge is On!! NEXT POST Next post: What is FREE on the Internet? – Did you know that.. 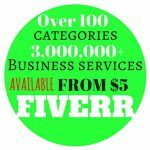 Thanks for your sharing on free printable store coupons which will definitely help me save whenever I do grocery shopping. It is helpful to know that I am getting something in form of discount or cashback on things that I have to spend money on anyway. It has never occur my mind that I can use this way to save money. 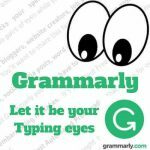 You did a great job with such an in-depth article on the free printable store coupons. I will look forward to more sharing of yours. Cheers! You are very welcome, using Coupons.com is a great way to save money on brand name products. Things are getting expensive now a days and any way I can share how to save money I will. Most coupons you can print up to 4 times which is awesome on products that you buy all the time such as paper towels, toilet paper, diapers if you have young children. Why not put money back in your pocket when you can. Great website, I know I will be using Coupon.com next time I do my shopping. Coupons.com is a great way to save money when grocery shopping. You should also check our https://ideas2bucks.com/what-is-the-shopkick to save even more. Good luck and happy saving.